I’ve been collecting for a few years now— essays, think pieces, responses, blog posts, podcasts, toolkits and maps that relate in some way to diversity, identity, ethnicity and race. Often, I find them shared by a loose network of writers and teachers and journalists who self-identify as people of colour, minorities, immigrants or first generation. It might seem obsessive– why read so much about these topics? Why force myself to parse the ways in which race is discussed and not discussed, the ways discrimination and cultural insensitivity and micro-aggressions take place in the passive? As always, the answer is not a simple or straightforward one. I read about these issues because I want to feel like I’m not just imagining things, that I’m not being oversensitive. When scholars and writers of colour powerfully pull apart and deconstruct instances of racism that are so often dismissed and minimized, they give shape and space to my unspoken shock and pain. I read these topics for strategies on how to mitigate my own anger and depression, how to conduct a meaningful discussion and how to draw courage from others’ outspoken critiques. 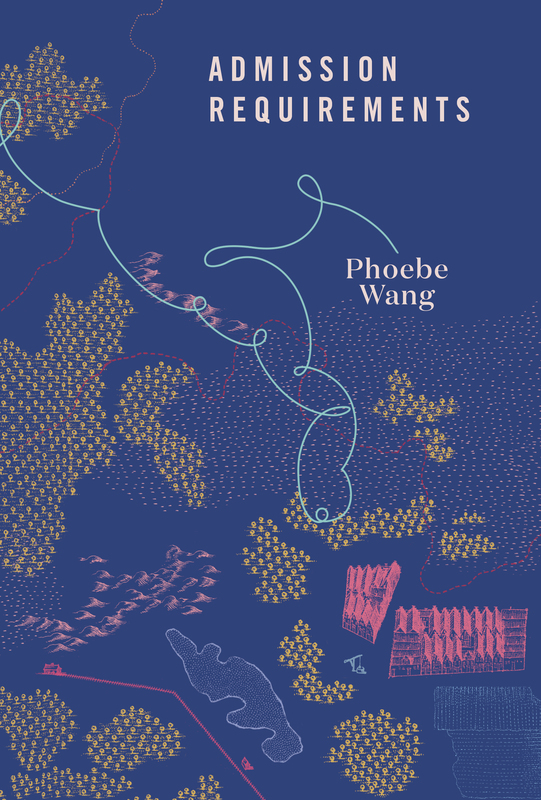 I read because my own experience as a Chinese-Canadian is limited and I want to learn about the variations of subjugation and embodiment for other cultures who experience marginalization. I read to offer support and solidarity to racialized others. I read helplessly, and helpfully. Yes, sometimes it is emotionally wearying. Sometimes I want to dim the volume and take refuge in a season of The Americans and the newest Nigel Slater cookbook. But it’s always there, the conversations about race that aren’t just about race– they’re also about who we are as subjects and as global citizens. What does it mean, then to read the year through the eye-needle of race? To be attuned in that way, so that literary controversies are not isolated, but form a pattern of how as English-speaking cultural thinkers we view belonging, citizenship, culture and outsiderness. Here, then follows a calendar of reading alongside race in regards to writing and publishing in 2016. In January, a US children’s book publisher, Lee & Low, conducted a survey on “Diversity in Publishing” in 2015. Molly McArdle collected responses from editors and publishing professionals in “‘You Will Be Tokenized’: Speaking Out about the State of Diversity in Publishing” in Brooklyn Magazine and Oscar Villalon wrote an urgent call-to-action in LitHub. Bakare-Yusuf comments: “Western publishing is out of step with a real world that is very mixed, global and diverse. Publishing is civilisation-building. Sometimes, builders of civilisation can forget to innovate, to experiment and to feel the pulse of what’s going on around them. In the same month, US writer Esther Wang asks us to move beyond the stereotype of ‘Crazy Rich Asians’ in the stories we tell about China. April also saw the publication in The New Yorker of Calvin Trillin’s satiric poem, “Have They Run Out of Provinces Yet”, in the voice of a speaker who lists the fluctuating popularity of various Chinese regional cuisines. Timothy Yu responds in the New Republic with his essay, “White Poets Want Chinese Culture Without Chinese People” and 14 poets speak back with poems of their own on the Asian Americans Writers Workshop’s The Margins post “We’re in the Room, Calvin Trillin.” Celeste Ng and Karissa Chen engage with the poem on Twitter and it can be read in full on Storify. In May, Canadian poet Sachiko Murakami began the site Writing So Hard featuring numerous diverse writers who speak out about the challenges of writing, mental and emotional health, gender, activism and how these and many other topics are interwoven and inseparable from the writing life. Also of interest is Suki Kim’s 2014 nonfiction work, Without You, There Is No Us, an undercover reporting of North Korea during the time she worked there as an English teacher. She spoke on NPR about how her work was mislabelled a memoir rather than as a work of investigative nonfiction. In October, Montreal-based writer Klara Du Plessis curated a month on The Puritan’s Town Crier blog on Writing in English from a Multilingual Perspective. Pieces contributed include Ndinda Kioko’s “Writing the Good English”; “English and Aboriginal Ethnic Identity”by Kalina Newmark, James Stanford and Nacole Walker; “Hypenated Fluency” by Jihyun Rosel Kim and many more. Just when we’d thought that 2016 had exhausted its reel of identity-related controversies, comes the questioning over the indigenous identity of Canadian writer Joseph Boyden. While some over-the-top claims have been made, it’s a necessary ongoing conversation about who can speak for whom, and how systemic oppression is reinforced by those who claim an identity. Thus far, I think the most thoughtful and useful orientations have been offered by Hayden King, who asks “Joseph Boyden, Where Are You From?”; also from The Globe and Mail, Denise Balkissoon on “Why the facts behind Joseph Boyden’s fiction matter” and Teika Newton just yesterday on National Observer who observes, “Boyden may yet end up being a catalyst for anti-racist learning.” I have no doubt that more opportunities to learn will emerge in the new year. Whew. In the following weeks I will endeavour to post the links and pieces that relate to topics outside of literature and publishing, such as education and affirmative action, Black Lives Matter at the Toronto Pride Parade, Canadian reacting for and against the settlement of Syrian refugees, intersectionality and inter-race solidarity and many more invigorating topics. Please share any links and pieces that can help to further discussions around identity and diversity in the comments below or to my Twitter @alittleprint. It’s a scary, gut-churning and humbling thing, to read about instances of racism, trauma and pain. I don’t have some any platitudes about how to feel good about this kind of learning because I myself don’t feel good, but neither am I proponent of guilt and unnecessary grief. It’s been a senseless year in a senseless world, and all I can do is look up across the table and see my own confusion reflected with grace and strength in the faces that surround me. After several years of piecemeal existence in Toronto, I’ve a rough grasp of how the year of a writer’s work cycles through the seasons. It’s less like the migratory arc of a Canada goose and more like a crocus bulb that sits cold and incubating nearly half the year. Similarly, in the winter months after the holidays, I hole up in my giant fisherman sweaters and corresponding fish stews, and stew over new work. In spring, writers flower forth in bars and bookstores to celebrate their offerings. Summer is another fecund time, though now reading, revising, meditating and drinking can be done out of doors, and if you’re fortunate enough, to go away on a retreat or residency. It’s the time of year I try to earn a much income as possible, writing grants and teaching the influx of international ESL students that alight in our cities. Fall becomes a kind of long writers’ reunion party with festivals and events, after that the hiatus of family and the new year. Editing my first The Puritan supplement on the theme of legacies and inheritances. I have been so happy to meet and work with the writers on their pieces, and in many cases emails and pitches turned into Skype meetings and coffee dates. Poets, fiction writers, a graphic essay, two interviews, a play/family story excerpt and a critical essay on transgendered literature are just some of the things to look forward when The Puritan goes live in May. I’m also in the beginning stages of planning an evening to celebrate the contributions of the writers, editors and staff. With the help of the fantastic Andrew Faulkner and Leigh Nash, I have finished the draft of a new chapbook MS currently titled “Permanent Exhibits.” It’s another batch of ekphrastic poems, this time about my mother who has been a watercolour painter almost all her life. Through the course of writing these poems, I discovered she’d met with many overseas Hong Kong artists as well as local Ottawa artists, collecting their books and catalogues, as well as a few pieces. The chapbook is appearing with the reinstated Emergency Response Unit Press, and will be launched with a joint party with Desert Pets Press in mid-May. A broadside will be available on April 28th, at the Invisible Press launch, alongside Andrew Forbes and Brent van Staalduinen. My debut poetry collection, Admission Requirements has been accepted for publication for Spring 2017. That is all I’m going to say for now. I watched all of season one of Outlander and read the first five of the novels too. It’s been a long winter. So tell me, what have you been working on? “Persistence matters, ” I heard myself saying, like some kind of jerky puppet. “Keep trying and eventually it’ll happen.” The exact phrases I heard from published writers 15 years ago were now gushing out of my mouth and I couldn’t stop them. I looked over at Kateri Lanthier, who was letting me ramble to her third-year creative writing students at UTM about publishing. Kateri nodded and supportively wove in anecdotes and experiences of her own. I reminded myself to make eye-contact with the 15 students scattered around the room, who were listening politely, barely moving. I saw small sparks going off in the quiet eyes, and in a strange way, I could feel them listening harder when I talked about self-validation and creating opportunities for themselves. I want to focus more on the mindset of seeking to publish. When writers decide to send out their work, it’s more than a physical act, it’s adopting an attitude of taking your work seriously and seeing yourself as a professional. It’s an opportunity to find out if your mere words can reach and affect an editor, someone who has no ties to you and cannot be biased by a relationship with you. There is something very pure about this, even when you take into account an editor’s inevitable bias and subjective tastes. The unpublished writer also must learn to develop their own instincts about when a piece is ready for submission. I recognize the feeling now— when I read a poem that has been redrafted many times, that has been read by my trusted fellow poets and revised again until every word and line of it is as meaningful as I can make, when I get a little feeling of pride and excitement about the creative leaps I’ve made with the piece, then I know it is ready, though doubts can still overtake me like a bad smell. If I can dispel them, I look for a place to submit it to and take into account the style of the publication or the tastes of the judge, whether it’s promising enough for a national prize or better suited for an online journal. I make many mistakes and through long trial and error until miraculously, my writing finds its proper home. Rejection slips from Prism, Arc, The Fiddlehead and Malahat Review. A kind note from editor Ian LeTourneau in 2001. Or not. Before the digitization of everything, rejection slips would arrive via postman months later, sometimes with a handwritten note to soften the harshness of we regret we cannot accept your work for publication at this time. A rejection was the worst that could happen and the worst that could happen is a piece of paper. It’s not dreams crushed under 200lb weights, it’s not losing right hand. No one is saying you can’t be a writer. The rejection becomes an emblem of having tried, not one of failure. Knowing you are strong enough to brush it aside, go back to your now months-old piece, rethink, revise and resend. If only there was a faster way, an easier way than this long tricky process of revising, waiting, waiting some more and feeling your youth slip away with sleepless nights of editing. I remember a stretch when I couldn’t get anything published for a year. Then the next year, I had four poems accepted, I made it onto the CBC poetry prize longlist and got an arts grant that paid for 4 months of living expenses. Writing successes only feel rewarding because they are so tough to reach, by the time you reach them, you were on the brink of giving up several times and you can only blink like a car crash survivor at the kindness of friends and strangers who praise and congratulate you. Success of your own doesn’t stop the feelings of envy towards your fellow writers who are publishing in top-tier magazines that keep rejecting you, getting into prestigious MFA programs, winning grants and prizes and/or working on impressive projects. I tend to be envious of younger writers who published books earlier than me. While I published early, at 19, I didn’t publish again until I was 28, and couldn’t finish a poem between the ages of 20-28. I was 29 when I started my MA in Creative Writing, and at that age, I had rubbed away most of my petrifying shyness and had enough maturity to know how to handle my career. Success looks different for everyone and the clichés are ringingly true. Everyone has their own journey, yadda yadda yadda. Which basically means, some things will happen faster for you, some things will take longer. Envy is both a spur and a wound. The success of others doesn’t take anything away from you, and it’s unproductive to think that there is a finite amount of success. Feelings of awe and admiration spur writers to their desks, but while there, they’re facing battles on their own, and envy is the wound that leaks creativity. There will also be a time when writers confront the spectres of previous successes. I look back at poems of mine that did well, and feel as if they were written by a stranger. In print form, I don’t recognize them and they are divorced from me, as is the person who wrote it. The finished, successful piece of writing is a screenshot of a moment in time and of my obsessions then, and I cannot recreate it. This is one reason why a writer forgets their successes so fast and appears almost embarrassed by them. Success isn’t as addictive as the rush of getting it right. There’s always the next thing. And the thing after that. The handout I gave out of my talk, including my submissions spreadsheet from 2010-2012, a non-exhaustive list of print, online and chapbook presses in Canada, and a shortlist of resources: Why Publish Handout PDF. New work in Project 40’s magazine, Looseleaf Magazine, edited by a stunningly hardworking and ambitious collective of young Asian Canadian artists and writers. I had a wonderful time at the launch at Beit Zatoun in early December, and was it felt both historic and extremely meaningful to read alongside several other female Asian Canadian poets and writers. Issues of the Volume 1 can be purchased here. My work in the magazine is a series of ‘annotations’ on each of the pieces of art throughout the issue. A new poem, “Sunrise with Sea Monsters” on Paul Vermeersch’s ekphrastic online blog, where every poem responds to Turner’s 1845 painting of the same name. The blog has 14 poems so far from Canadian poets such as Susan Glickman, Stevie Howell, Sylvia Legris, Tanis MacDonald, Pearl Pirie and others who seem to find the golden-hued oil work a rich mine of suggestiveness. I came across this wonderful 2012 short film, “The Last Fisherman,” which is based in Margate, the same coastal town where Turner created the painting. You can see the early dawn lights, it hasn’t changed at all. My 2016 is already promising: I will have a cache of new poems in the Winter issue of Ricepaper Magazine, in Canada and Beyond: A Journal of Literary Studies, and BookThug Press’s newest volume of BafterC. As well, reviews of Raoul Fernandes’ Transmitter and Receiver, Soraya Peerbaye’s Tell, Lee Maracle’s Talking to the Diaspora and I just successfully pitched a long essay on how poetry can help newcomers to Canada to Arc Magazine; I only hope that I can write the piece that’s still hanging in cloud bubble form somewhere in the ether. Let us wish for the good fortune to carry out the work we are meant to do and the courage to fulfill the beliefs that others have for us. Last week at the Coach House Wayzgoose I met a couple of the first year U of T MA in Creative Writing students, reminding me of how, just 5 years ago, my classmates and I finished our graduate department orientation in the early sun-dazed week of September and headed to another kind of orientation in bpNichol Lane. Those first years of going to book launches in Toronto, I stood back as my more extroverted classmates approached their literary idols. I hovered as other writers beckoned to each other and cosily chatted by the bar. The venues were often loud, hot and crowded with various degrees of dampness depending on the time of year. Twenty dollar bills disappeared like burrowing moles. Being shy, soft-spoken, relatively unpublished and often too poor to purchase the new titles, I felt that any attempt to speak to writers and editors would be perceived as grabby and insincere. I conscientiously avoided everyone I recognized out of fear they might think I was warming them up for a favour. But then, why move to Toronto, the self-proclaimed hub of Canada’s English-speaking literary world? Not many people are able to participate in that world, because of language barriers, distance, poor health, and so on. Here I was, young, able-bodied, well-educated– the main barrier to attending events being my own disinclination and over-sensitivity. Get out your eyeshadow, Phoebe! 5 years later, I still forget names and would prefer to stay at home with a new cookbook than to circle like a piranha in the gin-and-ink scented waters of the Toronto literary community. But I’ve found a few ways to fulfill my professional capacity as an up-and-coming poet while still having fun. It’s easiest to talk to other emerging writers if you’re also an emerging writer, no matter what age you are. Support others who are at the same stage of their careers as you by going to their events and mentioning their work to editors and they’ll do the same for you. Writers who only talk about their own work all of the time quickly get a reputation for being self-serving. You don’t have to show up at a bar for a casual reading series in a full suit. Although one young poet who always wore a quiet blazer and tie to every event did so because I believe he’s more comfortable that way when he meets older writers and asks them for a coffee. Many people go to events after work and don’t have time to change, so it’s common to see a well-dressed, pin-stripped crowd in various shades of black. You might feel out of place if you’re in a bedazzled hoodie, especially if you’re already a self-conscious person to begin with. I met many more people when I edited Echolocation during my second MA year, as I needed to email publishers and editors for review copies, ad-swaps and myriad other small requests. When I met them face-to-face, it was great to be able to thank them for their help. I’m also much more comfortable promoting organizational interests than I am my own. However, people can see your skills when you’re involved in some way in the literary community. Help with a reading series, offer to read submissions for a literary magazine, volunteer at a conference, etc. I don’t do this often, but it’s how Elizabeth Bishop met Marianne Moore. Proof enough that it’s a perfectly socially acceptable way to exchange information and to ask a writer about their particular area of expertise– maybe you want to know more about organizing a literary festival, holding a workshop, running a reading series, and that writer has experience doing one of those things. Offer to meet close to the writers’ home or workplace at a time convenient for them– after all, they’re the ones giving you their time. Cookies are always appreciated, anywhere you go. Host Jacob Mooney frequently feeds Pivot Reading attendees with delicious oat-coconut clusters. I once brought a tabouleh salad to our program director’s house, and a tiny woman loved it so much she asked me for the recipe. That woman, I found out later, was the poet with 3 published books who has since become a dear friend. So bring cookies really means, remember that you have other interests outside of writing. When utterly star-struck, I’ve found refuge in talking about travel, families, babies, dogs, baseball, raw salads, etc. If I had talk all the time about the status of my manuscript I might bash in my own head with a pint glass. You don’t need to meet everyone every night at every event. The fall/spring book launch seasons last longer and longer each year, and it’s impossible to meet everyone and if you try you’ll end up forgetting half the names. Allow people to get to know you. A thank-you to someone for hosting the event, a quick chat over a festival book table– over the years these interactions add up and people begin to recognize you and your contributions to the community. Think about their point of view, having lived and worked in Toronto for decades and each year seeing new writers move to city. The famous coldness of Torontonians is mostly a sense of efficiency and even protectiveness. Is it worth it to learn your name if you’re only going to leave in a year or two? Be less in a rush. Act like you’re here to stay. Do one or the other, not both. Hosts and organizers appreciate first-comers as it means there’s less chance of someone walking in late during a reading. You can get a seat and talk with other early birds. Other people prefer to come late, after the first rush of the crowd or if they’re coming from another event. After the readings, the crowd thins, everyone’s on their 2nd or 3rd drink and starting to unbutton things, the organizer can finally sit down, and some of the best conversations take place on the patio as well as some of the most memorable moments. What will be yours?